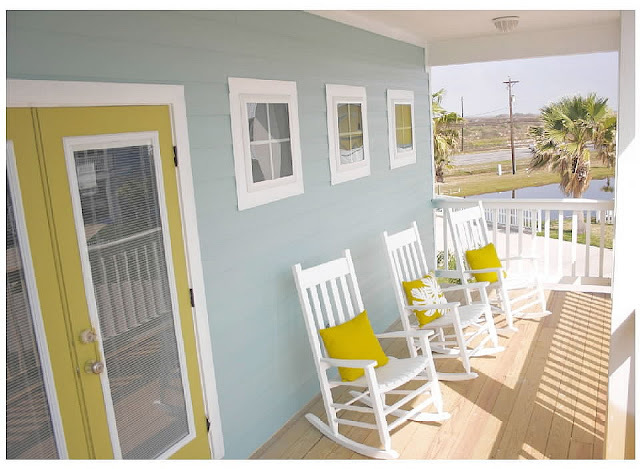 Recently, I saw pictures of this adorable beach house called Bahia Sunset, located in Texas. I was so impressed by the home itself as well as the decor, that I asked if I could feature it here. she's the lovely person who designed my logo here at Pink Postcard! 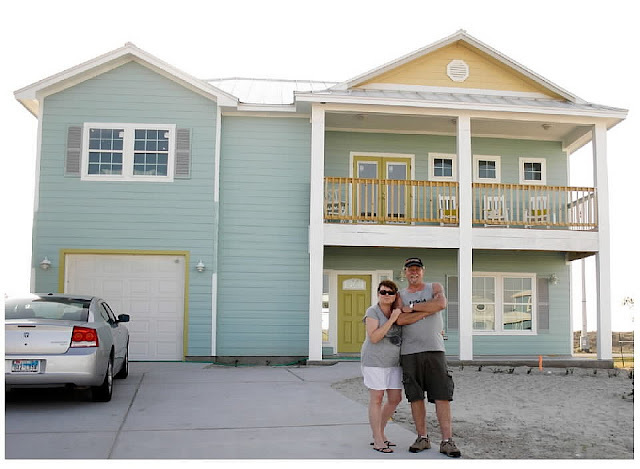 Her parents built this vacation home and decorated it themselves. It was the realization of some long awaited dreams and planning. 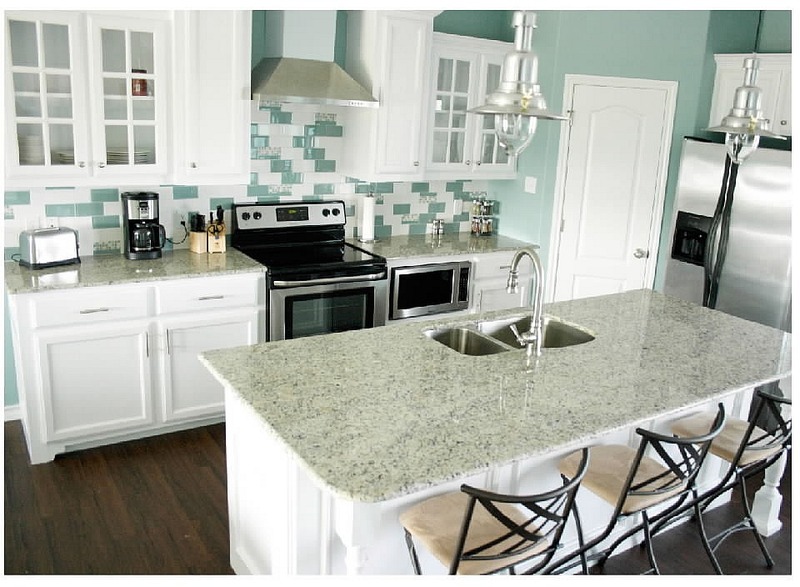 The colorful subway tile back splash, the nautical light fixtures, white cabinets.... Love, love, love! 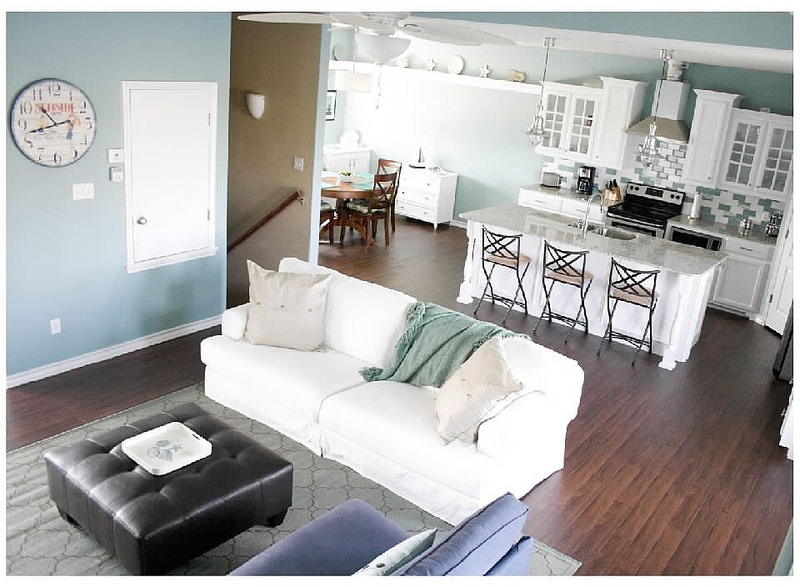 The adjoining family room looks like a fun place for evening games and movies. I think I'd find myself sprawled out on the couch with a half dozen magazines! 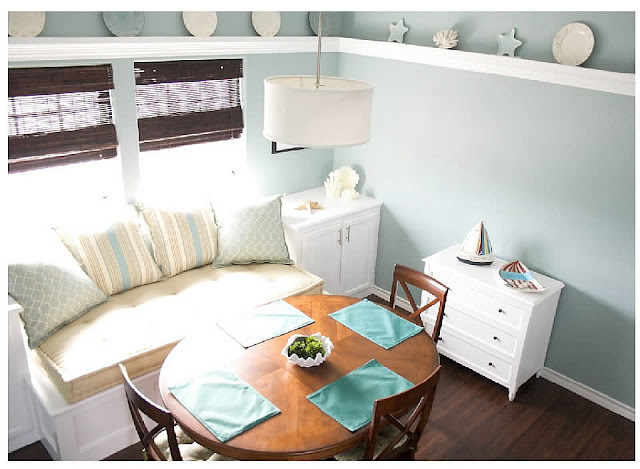 I just adore the banquette seating. Don't you? A great place to hang out for breakfast. What a beautiful spot to enjoy the ocean views!!! I love the light and airy bedrooms. The 3 bathrooms are all beautiful with granite and white fixtures. 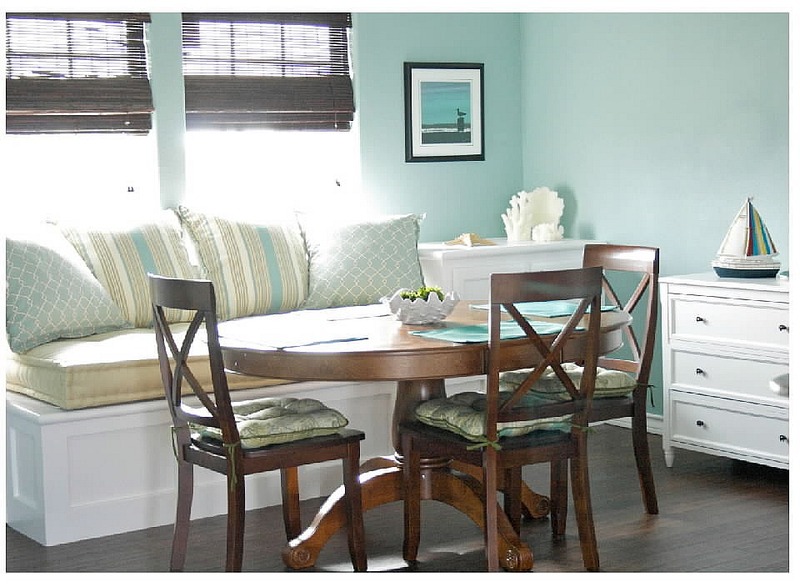 I am totally digging the beachy blue wall color. Even the exterior of the home is so welcoming and happy. 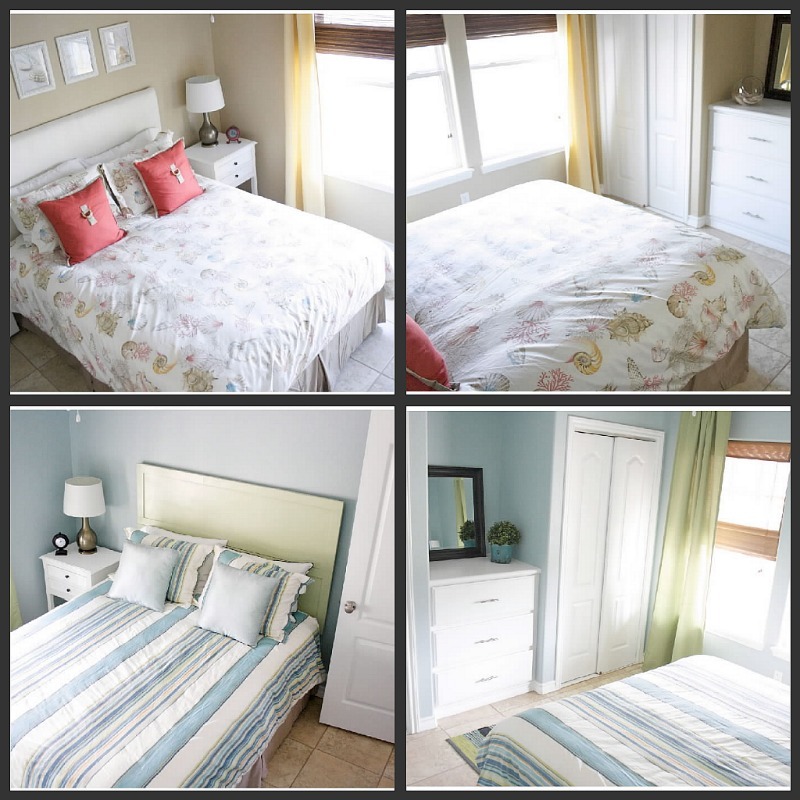 Thanks so much Megan, for letting me feature your family's vacation home. I hope you all make some fabulous memories. WOW, now that is a drool worthy home!!!!!!! Happy Monday Sweetie. Love the light blue in the kitchen and the gorgeous light throughout! That is a dreamy vacatin home. It looks so relaxing and comfortable, as well as being beautifully decorated. LOVELY home! And it is so very clutter free. perfect. It feels like you could just BREATH in that home. Peaceful. WHat a awesome house! I could sit on that porch all day sipping tea in the afternoon and wine at night, when are we going? Ooooo...What a retreat! The kitchen nook is gorgeous! Love the pillows. Outside of cottage style...coastal is my second favorite. The mix of the two is even better! It's so beautiful! Love all the colors. Mojitos on the porch...delightful. Amazing home! That kitchen is incredible! When I see rooms like that, I want to change the whole color scheme in my house! Gosh I could really use a getaway to that place RIGHT NOW!! So cozy and comfy. Love the colors! Thanks for sharing and hope you had a great weekend! Hi. Love this vacation home too! Is there any way you can find out where they got those FABULOUS fisherman lights in their kitchen? I am searching everywhere in my area for the same ones for our kitchen re-do. Oooh, I'll have to look into this rental. 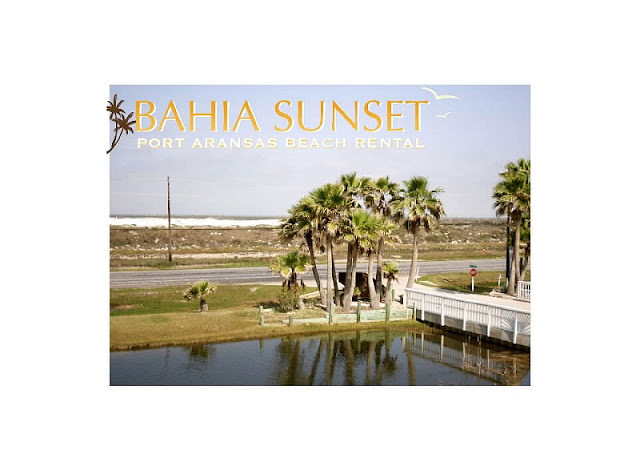 We're pretty close to Port Aransas and always need somewhere relatively close to visit when we get days off. I'd love to figure out how to rent it. Oh, le sigh....how wonderful, but I'd want that for my everyday home!!! So, so pretty.....I need a beach house!!!! Thanks for getting back to me about the nautical lights! I will check Ikea out! I hope they are there!! What fun to have a real live beach house! Love that front porch with those great chairs. Beautiful! Love the colors and simplicity. Impressive beach house decoration!!! I love the colors fixtures. Thanks for posting with us.